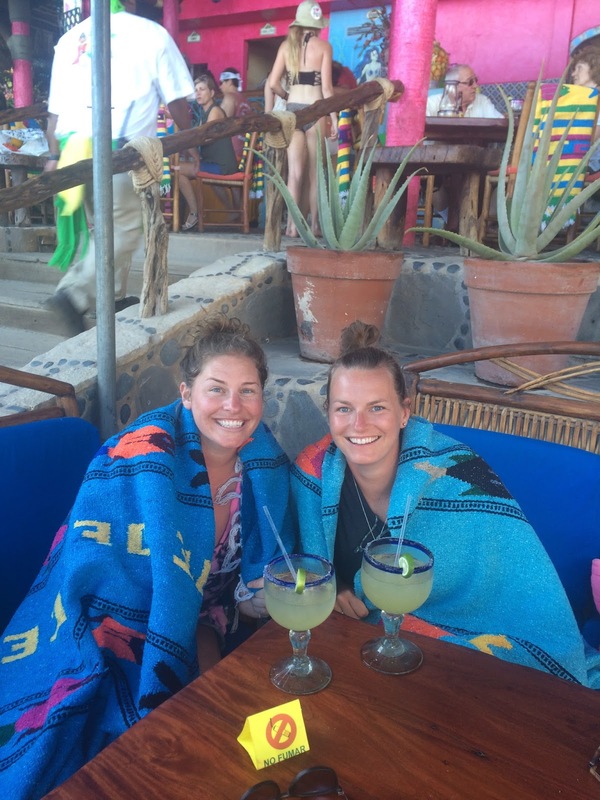 SPRING BREAK CABO! Just kidding, but not really. We happen to be in Cabo San Lucas during Spring Break week which means I think we saw Cabo at its best... or worst. Definitely a place I don't need to visit too many times again but at least I came, I saw, I (sort of) conquered. 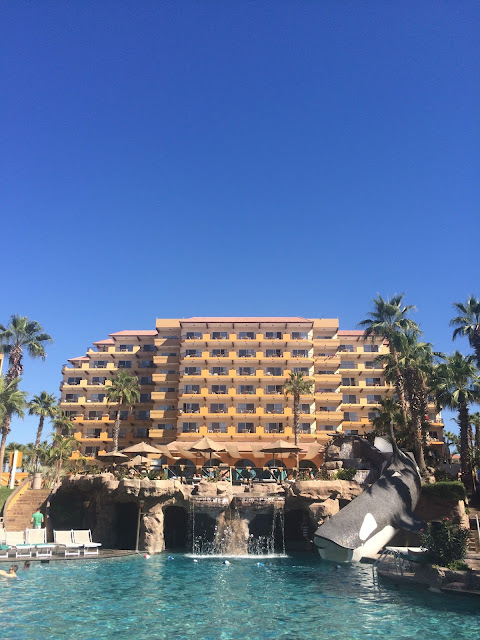 Since we had no idea it was Spring Break week, Laura and I had only one resort option when we booked the week prior, Villa Del Palmar Beach Resort. So us 29 year olds pilled in with the college kids for an all inclusive week of laying by the pool and getting the tannest I have ever been. 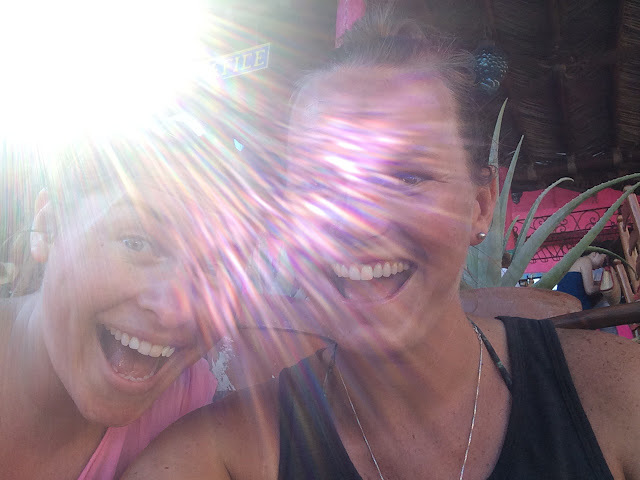 You could say we were a little bit out of our element since we had just come from 9pm bedtimes in Loreto. 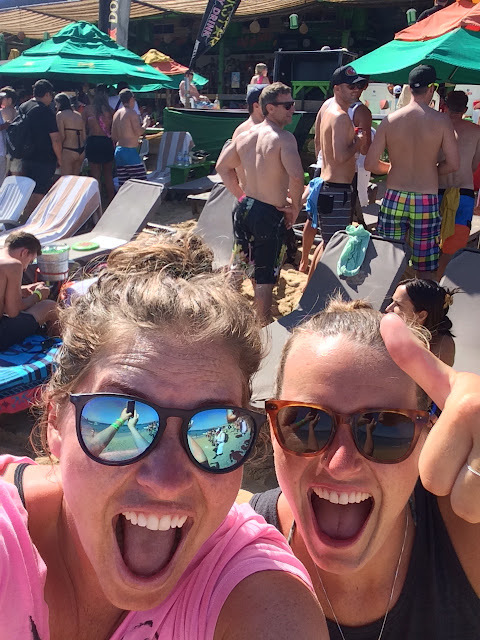 We did manage to make our way down to Mango Deck and The Office for some margs and Cabo entertainment... so this stuff really happens? It's not just in the reality shows?